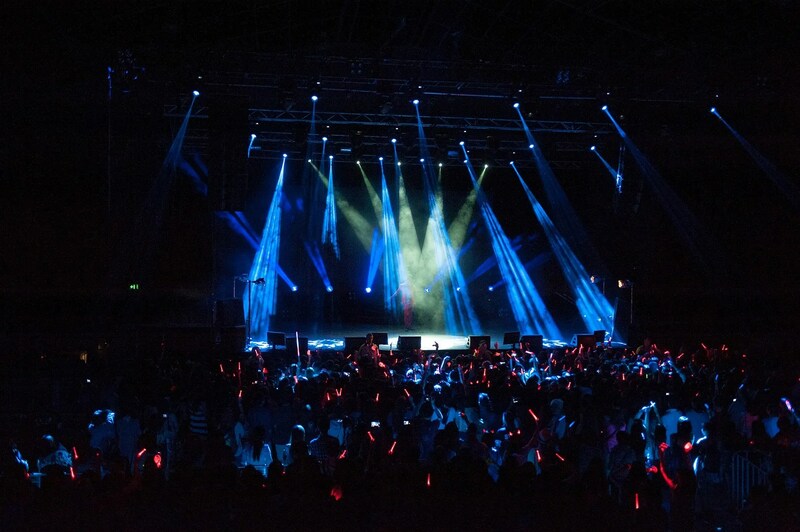 Meeting with new fans, JYJ’s Kim Junsu successfully wrapped up his concert in Australia. “Upon arrival, Kim Junsu participated in a press conference followed by a program recording, pulling off his busy schedules before standing up on stage to put a powerful performance in his best condition, capturing the hearts of Australian fans,” said his agency. 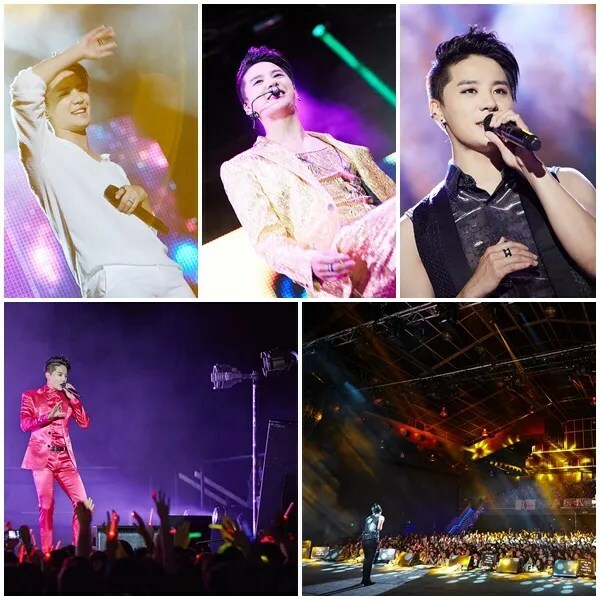 [REVIEW] XIA Redefines the Word ‘INCREDIBLE’ During Sydney Concert! It’s September 28th, the date K-Pop fans all around Australia having been waiting for! Like any other concert, the fans came rushing in to be the closest they can to their beloved idols. However, tonight’s concert is Australia’s first ever taste of JYJ, with Junsu, also known as Xia, taking to the stage to give Aussie fans a night they’ll never forget! After the curtains dropped to the floor, nothing could calm down the fans as Xia made his incredible stage entrance! The entrance video beforehand gave the fans an idea of what to come, and the crowd’s first glimpse of Xia was him in his eminent presence on his ‘throne’. The first song performed was the intense ‘Tarantallegra’ which proved Xia’s incredible and precise dance skills, and that of his talented back-up dancers. Needless to say, the fans were going crazy and the concert barely even started! The next song was ‘No Gain’ from the same album, Tarantallegra. A small intermission on screen of a cute message session between Xia and his ‘girlfriend’, paved the way for the next song ‘I’m Confessing Now’ from his latest album, which was followed by ‘Chocolate Girl’ and another amazing response from fans. The atmosphere doubled with energy when Xia came to the stage to personally address the fans, especially with his “G’day Mate!” The crowd’s response to Xia’s Korean led him to ask “Do you speak Korean?” which drove the fans into a frenzy of laughter; even Xia giggled. For the third time this year, fans of the Korean wave have been treated to a dose of KPOP as Kim Junsu a.k.a XIA of JYJ came down under for his Second Solo Tour Concert. Anticipation rippled through the crowd as the curtain lit up with the words “Incredible”, the name of XIA’s concert tour and latest album. 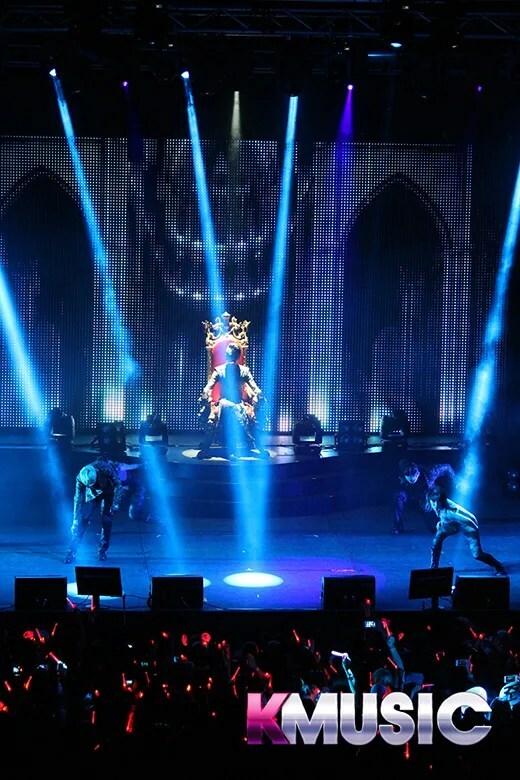 As the curtain fell, XIA was seen sitting on a huge throne and then jumped up to perform the explosive “Tarantallegra” which certain wizarding fans may know as the spell to make one dance uncontrollably. His lack of an undershirt under his black jacket made many girls swoon! After a few songs featuring his mega talented dancers and a wardrobe change into a hot pink suit, XIA greeted the crowd with a ‘G’Day Mate’ and told us that although this is his second time visiting Australia, being on-stage was a different experience. He complimented Sydney as a beautiful city and also confessed he tried some interesting foods when he visited last ~ a la crocodile pizza!